Armed with an enhanced tweeter, how does it sound? Initially, I had my concerns, about this 100w ‘only’ amplifier driving the trio of 4 ohm bookshelf speakers for this review. But I was pleasantly surprised to find that this amp did a wonderful job of bringing out the best in these speakers without a struggle. I did have to turn up the volume a bit more compared to my B&W 804D. However this amp did double it’s power into 4 ohms and then again into 2ohms and was able to provide a stable 400w per channel of power into 2 ohms. It is also a testimony that Dynaudio has been listening, and has been making their speakers more easy to drive and compatible with a wider spectrum of amplifiers. Well I did find out that they can be quite fussy with speaker position. Initially we used a 2.5 m equilateral triangle arrangement, with the speakers 2.5m apart and also the same distance from the listening position. But this created a rather distance and detached sound, with an odd separation of bass and treble. I then moved the speakers so that they were about 1.8 metres apart. We did not toe them in, and this was how we listened to all three pairs of speakers. This did wonders for their sound, and now I could appreciate why these speakers have been lauded in sound journals all over the world. The main impression was that of a certain neutrality. There is a wholeness of their sound, with no particular emphasis of treble, or mids. But there was a solid bass underpinning that, and it was really impressive. 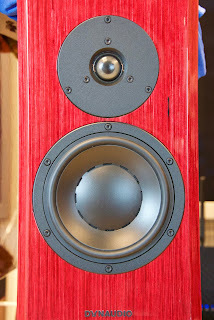 You would be hard put to picture them as bookshelf speakers if you did not see them before listening to them. There is a deep soundstage, with a very revealing sonic signature, neutral, and yet forgiving. The imaging is precise, and three dimensional. In a small room, you will not miss floorstander speakers, and their simple two way driver arrangement actually makes them easier to integrate into a small room. The C1 Platinum has an inverted arrangement, which places the tweeter closer to the ear level when one is seated, and the speaker is placed on their own Stand 6. With this, you will find the tweeter slightly below ear level, and if one is into HT, this puts the tweeter of the front speakers much closer to the height level of their centre speaker. I also had the opportunity to listen to the older MK II and the new Contour 1.4 LE, which is around half the price of the C1 Platinum. The Contour actually gives you more: it goes deeper, so you get more bass impact, and the treble is a little more exuberant. But everything just seems a little less controlled. However if you like a more exciting sonic tone, the Contour may suit better, and give you more of the edge of your seat kind of tone. If HT is your game, or you have rather warm and smooth amps, this speaker may give you a little more treble shine. However after the initial impression, I found the C1 sound more easy to live with. The bass is more controlled, and the treble more forgiving, with better definition at all frequencies. 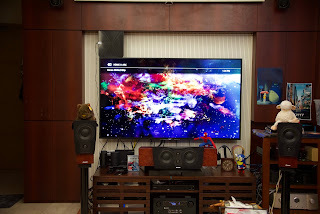 The imaging is also superior with the C1, and you won’t have trouble picking out the differences between the speakers. With the Confidence MK II, the differences are more subtle. I felt that the MK II had a slightly brighter tone, but that was it. The imaging, the depth of the soundstage was very similar. If you get a good deal on the older speaker, and prefer a slightly brighter sound, then go ahead and score on the MK II. Oh, the MKII has a bit more silver, instead of the totally black faceplate on the Platinum. Since the drivers are the same, I didn't really expect any real difference. USD 6750 for a pair of bookshelf speakers, not including the price of the Stands (another USD 600) is a lot of change, but if you have a smaller room and enjoy listening up close and personal, this speaker will give you a detailed, large three dimensional sound which gives you tremendous retrieval of whatever was on that CD, and yet forgive imperfections on the CD, with a rather impressive amount of bass. I will start saving up….